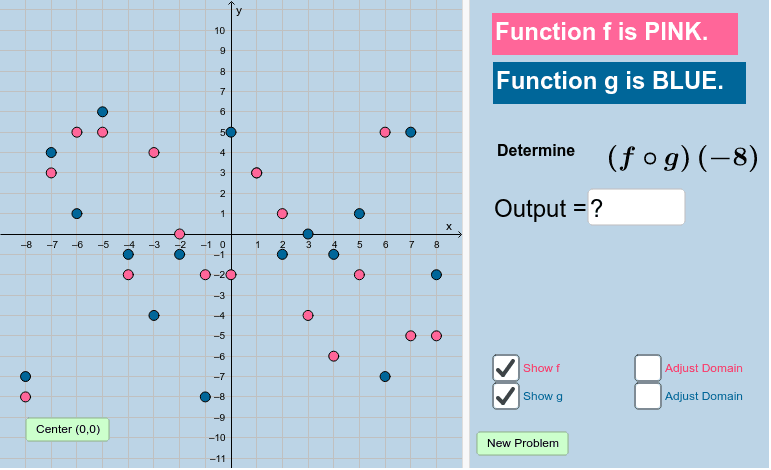 In the applet below, function f is shown in pink and function g is shown in blue. Determine the output determined by the ﻿﻿problem prompted by the applet. Enter this value in the input box. If you enter a correct value, you'll see a big "CORRECT !!!" sign appear. Use this applet to generate as many practice problems as you need in order to master this concept!